I'm always on the look out for great ideas using stamps in different ways. When Sheltering Tree first came out I was super excited for the tree and all the possibilities it held for the different seasons. It wasn't until I saw this card on Pinterest by Deb Currier that I looked at the bicycle as a focal image instead of just an accessory for a tree scene. 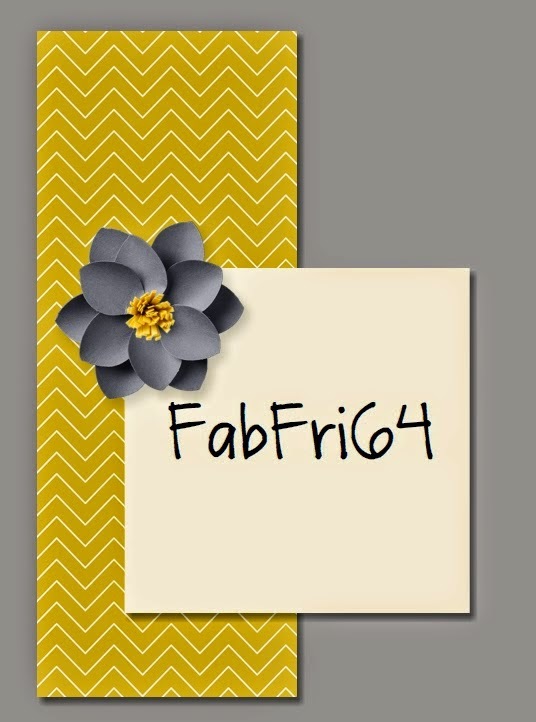 My card this week for Fab Friday uses our challenge colors as well as Deb's card for my inspiration. Can anyone say Father's Day colors?? Here's a closer view. The "road" under the bike is in Marina Mist that was stamped off once so it wouldn't overpower the bike wheels. It's hard to see on the Night of Navy but the edge is paper pierced all the way around. 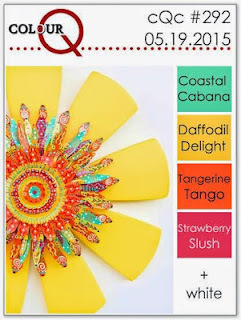 I hope you'll see what the rest of the Fab Friday Design Team has created using these fun colors and then play along with your own card! I've had a hard time making a card I like lately so I was bound and determined to sit down and make something that I didn't hate. It was a struggle but I got it done! I need some baby girl cards so that's what I wanted to focus on. 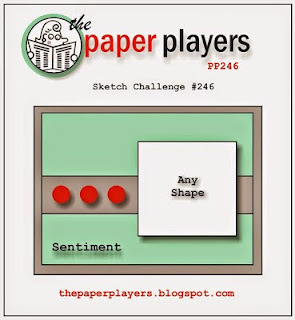 I combined 2 challenges for this card; Colourq and Paper Players. I went through a lot of different combinations and ended up with this final card. The base is Whisper White, then a layer of Coastal Cabana (yes I'm hoarding a little bit of it just for challenges! ), then another layer of Whisper White the top half which is embossed with the Large Polka Dot folder. The corners are also rounded on this layer. For the duck I stamped it in Memento black then colored it in with alcohol markers. Then I cut it out and covered it with Crystal Effects. After it was dry I used some circles and a bit of the Maritime DSP and cut out 2 layers for the duck to swim in. The smaller top layer is popped with a dimensional. I used the Owl punch to make the 3 little hearts. Next I stamped the sentiment, the "happy new baby" is from One Tag Fits All and then added the "girl" in Strawberry Slush from Endless Birthday Wishes. A small rhinestone finishes off the details of this card. The next big holiday that requires some cards is Father's Day coming up in a few weeks. I've got quite a few Dad's to get cards too so I'm working a bit ahead. While this layout isn't terribly different from other cards I've made using By the Tide stamp set it's a fun set of colors and I think will be a good card for my Dad who likes to fish... a lot. This a crisp CAS (clean and simple) design. The card base is Basic Black, then a layer of Whisper White. The words are stamped in Sahara Sand and then the coral is stamped in Bermuda Bay. The fish is stamped in Old Olive and cut out. The banner is embossed in white using the Father's Day greeting from And Many More. A few silver brads are spaced randomly around and kind of look like bubbles. I added some Man Ribbon (aka line thread) looped behind the fish and then attached the fish with dimensionals. Don't forget that the 2014-2015 Stampin' Up! catalog is ending on June 2 so if there is something on the retirement list you better order it now, stamps are now while supplies last...don't miss out! To order in my online store see the link in my sidebar. I hope everyone had a terrific Memorial Day weekend. We really enjoyed it with some camping, work on few house projects and some yard work. The weather here in Central VA was gorgeous and it was lovely sitting outside to eat dinner every night. Since we were on the go much of the weekend there wasn't any time in the stamp room but I have a card to share from a few weeks back. I saw versions of this one on Pinterest so it's definitely not an original design. It's a great way to show off the awesome Stampin' Up! 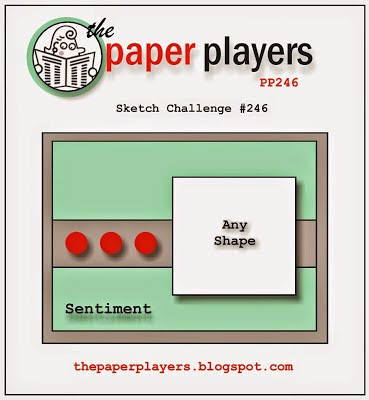 Designer Series Paper patterns. I made several different versions of this card and I also used this design for one of the projects at my last stamp club. Just use the Butterfly framelit and cut out the shape in Whisper White cardstock. Wrap the ribbon around the lower part, stamp the greeting and then attach it the layer of DSP and then attach that to the card base. Run a thin line of Tombow multi glue down the back of the butterfly's body and place it back into the cut out. Gently bend the wings up to give the card some dimension. Any combination of colors and DSP would look awesome with this design. Just a quick post today to share this card I made for the RetroSketches challenge which closes later today. I needed a guy birthday card and wanted to use the new Sprinkles of Life stamp set. The base is Sahara Sand and the DSP is from the Adventure Bound DSP stack. The ice cream scoops were stamped then punched with the Tree Builder punch. Each scoop has a bit of Dazzling Detail to jazz them up. The top scoop was cut by hand so that the sentiment wouldn't get cut off and it's popped with a dimensional. The cone is also hand cut. I have gotten a lot of mileage out of the Celebrate Today stamp set and coordinating framelits from the Occasions catalog. And I'm happy to say that they are carrying over into the new 2015-2016 Stampin' Up! catalog that will be coming soon!! We made this card at my last class to say goodbye to a few retiring products. And at the time I designed it I didn't know that Celebrate Today was going to be carrying over so it could have been goodbye to it as well. I made my sample to be a graduation card since it's that time of year but my ladies had the option to change out the sentiment to what they needed. We are saying goodbye to the Angled Tag Topper punch. I haven't had it that long but it's quickly found a place on my most used punches list. I think this one will be sticking around in my collection. We stamped the balloon in Crushed Curry, used a marker and ruler to draw the balloon string, stamped the Happy over the balloon in Smoky Slate and then punched the tag. Or you can punch first and then stamp, either way works! The 1/8" taffeta ribbon will be retiring in all but gold and silver so we used matching colors to go along with the Flashback DSP colors. Using a stapler we anchored the ribbon through the tag. The sentiment was stamped in black onto Real Red cardstock and the ends were flagged. A quick tip for smaller stamps to get a clean crisp image is to use a marker to ink it up. Sometimes I find that the smaller stamps just get over inked using the pads so if you're having trouble getting a good image for a small stamp try out your markers. The whole tag is popped on dimensionals over the top if the Flashback DSP. Congrats to all the 2015 graduates out there! Keep working hard and find something that you love to do! I am really enjoying playing with my preorder products. I hadn't used the Sprinkles of Life set or the coordinating Tree Builder punch yet and I thought it was high time they saw some action. You can never have too many Thank You cards on hand so I jumped in and played along with the Paper Players challenge this week; A Clean and Simple Girly Thank You. Not only is the Sprinkles of Life a fun, cute stamp set it's also the Ronald McDonald House Charities stamp set this year. Every time some one orders this stamp set Stampin' Up! will donate $3 to RMHC to help families with sick children who are away from home getting medical help. Wow! How can you not put this set on your must order list?? And of course you need the coordinating punch too! The base is Whisper White and then a layer of Cucumber Crush (quickly becoming a favorite!) and then another layer of Whisper White embossed with the Decorative Dots embossing folder. I rounded the corners of a strip of Cherry on Top DSP adhered that to the card front. I stamped and punched the tree using Tip Top Taupe ink and cardstock and Cucumber Crush ink and cardstock. I glued the tree trunk down to a circle that is pierced around the edge. The leaves are popped up with a dimensional. The flower was stamped in Watermelon Wonder and has a small rhinestone in the center to decorate the tree. I stamped the thanks from Many Thanks (retiring) and made a small banner and added a small Pool Party baker's twine bow. The whole circle part is also popped on dimensionals. So I think all the polka dots, the rhinestone and little bow make this a girly thank you right? Today is a card I pulled out of vault...I think I made it last fall for a challenge of some sort or another. But it's a great design for a boys birthday card especially if he plays baseball. Simply Sports is my go to set for boys as the images are unfussy and look nice and bold without a lot of embellishments. The base is Smoky Slate with strips of Flashback DSP (retiring). The Very Vanilla panel is cut on an angle (must have been a sketch challenge as I wouldn't have thought to do that on my own but it works!). I embossed the baseball player in black embossing powder. A large silver button with Real Red 1/8" taffeta ribbon anchors the Happy Birthday banner from Itty Bitty Banners (retiring) and the "nine" stamp from the 25 Days stamp set from the last Holiday Catalog. Both are embossed in black as well. How have 2 Fridays gone by already!?? It's time for another challenge at Fab Friday and I bet you'll be seeing some sneak peeks of new goodies from Stampin' Up! 's upcoming catalog. I know I used some new products! 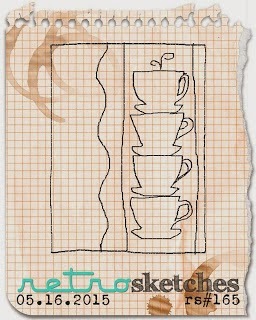 Check out our fun sketch! And here is my card. Can you spot the new supplies? I combined some new papers and colors with some items that are carrying over to the new catalog. The base is one of the new In Colors, Tip Top Taupe (say that 3 times fast! ), the strip of DSP is the new Cherry on Top paper stack with a narrow edge of Watermelon Wonder (also a new In Color). I folded a mini envelope out of the new cotton paper in Cucumber Crush (new In Color). It's super thin kind of like origami paper but seems pretty sturdy so far. Next I cut a Pool Party balloon using the balloon framelits and stamped one of the greetings from the new You've Got This stamp set in Bermuda Bay. I added a baker's twine string and tucked the end in the envelope to make it look as though the balloon popped out and is floating away. I anchored the baker's twine with a few well placed small dots of Tombow multi glue. The whole balloon is popped on dimensionals. I hope you head over to Fab Friday to see the other Fab samples from the rest of the Design Team. Here's a card that I designed a few weeks ago for a little workshop with a group of ladies from my church. They had requested a thank you card so I wanted to make one that could be a guy card if they chose to change the sentiment. The Maritime DSP, the Angled Tag Topper punch and the Many Thanks sentiment set will all be retiring shortly. I'm glad that the By the Tide set is carrying over though. I use this set all the time and love using it for layering. I was having more fun with this new sneak peek preorder set You've Got This yesterday. My mom saw the card I was planning to give her for Mother's Day so I wanted to make a new card for her. A new stamp set is a good excuse right? I really like Cucumber Crush and Watermelon Wonder together. The Cucumber Crush is a nice summery green and the other colors just pop against it. I think my photo shows them a bit brighter than in real life, we can blame the camera on the phone rather than the photographer OK? I stamped the flower (is it a peony?) in Stazon on watercolor paper and colored it with an Aquapainter and ink pads. After it was colored I spritzed the whole thing with some water and let it sit for a few seconds and then blotted up the excess with a paper towel. On the Cucumber Crush card base I stamped the background stamp that comes in this set. Then I layered my sentiment banner, Very Vintage button tied with linen thread and a little scrap of Dotted Lace trim left from yesterday's project. Well my preorder and catalog finally arrived yesterday....right when I needed to start cooking dinner! Of course right? While last night was busy for our family I was able to make a quick project with one of my new stamp sets and a few of the new In Colors. It was late when I finished it so the lighting stinks and I was taking the photos with my phone but I think you'll get the idea! I made this tag using the new set You've Got This. What a great set! I nice large flower and a fun crosshatch/sanded kind of background stamp, along with a few sentiments. I just used the flower on this project. The tag is one that opens (just cut your cardstock to 4 inches across then fold in half and then punch like usual with the scalloped tag topper punch). This is nice to be able to write a longer message inside. The flower is stamped with Stazon then colored with Blender pens and the new Watermelon Wonder, Delightful Dijon and Cucumber Crush In Colors. The scalloped oval is punched out of Cucumber Crush and the thank you is layered on top. I tied the tag with the new 1" Dotted Lace Trim in Watermelon Wonder. The box is one of the wood mount clear cases that you can buy in packs. I filled it with 13 assorted cards for a Teacher Appreciation gift. I made 2 of these for the boys teachers. It was fun working with these new products and I can't wait to have more time today to play! I am anxiously awaiting the delivery of my Stampin' Up! preorder which will be delivered sometime today. I keep hoping that it will come this morning but it's probably better if it comes later so I can get some stuff checked off the to-do list! Once that new catalog comes I don't think I will be very motivated to do work! Today's card is one I made a while back before the Blendabilities were retired. I made a bunch of these to give to parents at school who donated to our class auction basket for a large fundraiser the PTA puts on. It's always nice to say thanks! Isn't he cute? Even though the Blendabilities are no longer available this Cheerful Critter set is fun to color. I paper pieced the shirt using one of the patterns from the Confetti Celebrations DSP. The stars were punched with the star border punch and glued on. The Bermuda Bay strip is embossed with the Stars embossing folder. The Silver Glimmer paper star was cut with the Stars framelits. That's not too many stars right? My sister in law is expecting their second child, a little girl and a month ago we went to a baby shower for her. I wanted to make a set of thank you cards for her to use after the baby is born to go along with the gift so I got busy with my Zoo Babies set. The elephant is embossed in white onto Crisp Cantaloupe with a little heart punched with the Owl punch. The white twine is one of the 3 in the Painted Blooms twine pack in the Occasions catalog. Here is the box I made to hold the set of 6 cards. I used the envelope punch board. Super easy! I used some Core'dinations 12x12 Crumb Cake cardstock from my stash and tied it closed with Crisp Cantaloupe thick Baker's Twine. I could fit 6 cards and envelopes in the little pouch. Here is the coordinating card that I made to go with the gift. Just the contrasting color combo. I'll be sad to see Crisp Cantaloupe go away. I was slow to warm up to it but I liked the peachy pink tone and it's a nice alternate to a straight up pink. My Stampin' Up! new catalog preorder is on its way to me as we speak! I'm very excited to get my hands on a hard copy of the catalog. A PDF just doesn't cut it for me! But don't forget you can still order retiring and Occasions Catalog products until June 2. Lots of great deals on retiring items so check them out at my online store (link in sidebar). 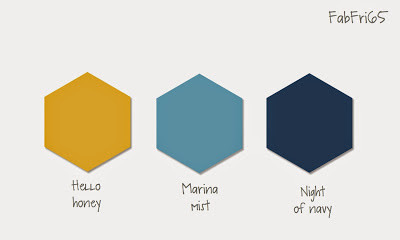 This time around at Fab Friday we are saying goodbye to the 2013-2015 retiring In Colors. This was a much loved set of colors and will certainly be missed. So it's a color challenge this time around. Use all 5 colors or a few of them. I chose to use 3 colors; Baked Brown Sugar, Pistachio Pudding and Crisp Cantaloupe. This card is also saying goodbye to some other retiring Stampin' Up! products. Apothecary Art stamp set, Labels Framelits, Very Vanilla seam binding ribbon, piercing guide, and the Perfect Polka Dots embossing folder are also retiring. About the only products that are carrying over are the pearls and the And Many More stamp set. Head on over to Fab Friday to see the rest of the Design Team inspiration using these colors one last time for a challenge!